Multiple niches of businesses often buy and sell multiple properties for the course of their expanding business. There can be many reasons to buy new properties for the fulfilment of your business’s need and requirements. However, the problem begins when you do all of that stuff illegally and by illegally I meant, not going through the proper channels for the purchasing and tax payments of the property that you are about to buy or have bought already. In every state, there are rules to pay taxes and fill all the necessary government forms for purchasing and selling properties, in the case of Singapore that Inland Revenue Authority of Singapore (“IRAS”) makes laws. All the companies have to follow the Goods and Services Tax (“GST”) registration process and must have to pay all the standard amount of taxes and documents to the IRAS to perform the duty of a responsible citizen and a businessman. Moreover, paying taxes about all the property business is necessary to prove that you have obtained all the property legally and you are going by the rules, simply. Under the GST Act, all of the GST-registered businesses must account for GST collection right at the sale of any non-residential property for the output tax in their Government and Services tax returns. The property owner can claim the Government and services tax paid on every single purchase of the non-residential properties as a declared input tax in all of their total GST returns. If you fail to register for GST, there will be GST registration penalties which will not end well for you and your business image and overall branding that you made in the market. To ensure you IRAS has a competent staff and machines that identify all the companies that have tried to avoid GST taxes, have avoided or about to. They have some of the best GST collection and surveillance system of the world. To describe you as simple as possible, The IRAS conducts regular/consistent audits of all the GST-registered businesses, and the GST omissions can be effectively detected via the use of risk profiling and data analysis. It is a grave offence to understate the output taxes on any sales. The offenders can face a severe penalty that can be up to 3 to 4 times of the net amount of tax that was undercharged, and a significant sum of fine which close to $10,000 for minor penalties, enormous for substantial penalties and even imprisonment in jail for up to 6 to 7 years or all such sentences in the same time. So, you want a practical example? Recently, a businessman Kho Foong Kuin, Security and firefighting supplies company’s Director, has been convicted and charged for failing to report the total amount for the IRAS’ Goods and Services Tax. The GST was for the sale of a commercial property which was non-residential at the famous Tuas View Place. This is how the company intended to evade GST. 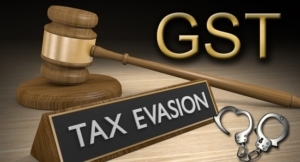 The designated Court sentenced Director Kho, four weeks’ imprisonment in jail and ordered the director to pay a huge penalty of total $173,880 – which was exactly three times the total amount of the whole GST evaded. To understand IRAS better and the GST’s in Singapore it is time for you to hire the best accounting services Singapore to avoid all such hurdles and tax evasions in your business ventures. These secretarial services will help you avoid the possible complexities of GST and help you run your business in the sophisticated way possible.